Since pre-Columbian times many Mexican towns honor their dead relatives through fascinating rituals. In the beginning of November people prepare themselves to receive their dead relatives. They place offerings of food, liquor, toys, candy, cigarettes and flowers so the visiting dead enjoy their aroma. In the evening, people go to the cemetery to bid farewell to their dead; thousand of candles are lit to guide them on their long journey back. This program is filmed in Mixquic, an ancient Aztec town where the Day of the Dead has been celebrated through the centuries. Families in this town kindly invited us into their homes so we could film their beautiful altars. We visit the traditional market where flowers, sugar skulls and papel picado are sold. Artisans show us how they create the famous Calaveras. We see how the people lovingly clean the tombs and decorate them. At night, the cemetery is lit by hundreds of candles! 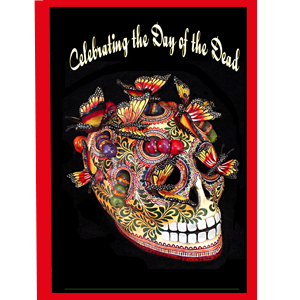 This program was selected by the Mexican Department of Foreign Relations for their consulates to show the authentic Day of the Dead celebration.